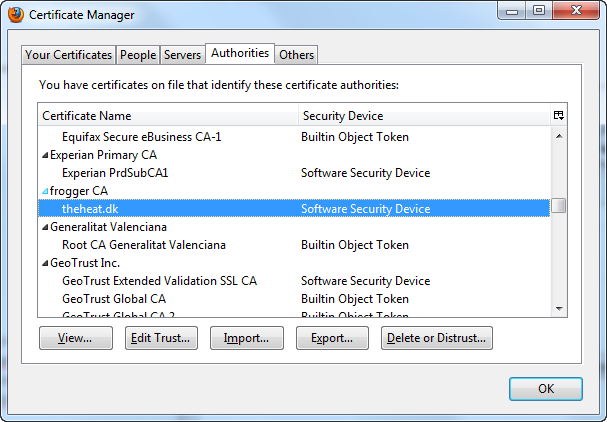 Here is a quick way of creating your own CA and issue server and client certificates via OpenSSL. 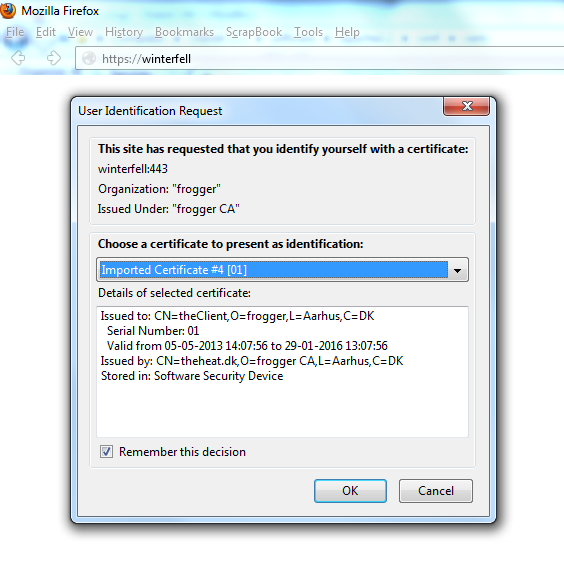 I will test the certificates via the Apache HTTP Server by configuring one and two-way SSL. I use Oracle Linux 5. You should of cause only use this for test scenarios. Change the dir parameter in openssl.cnf to /u01/app/myCA. # Create CSR for the client. Install Apache and mod_ssl if needed. 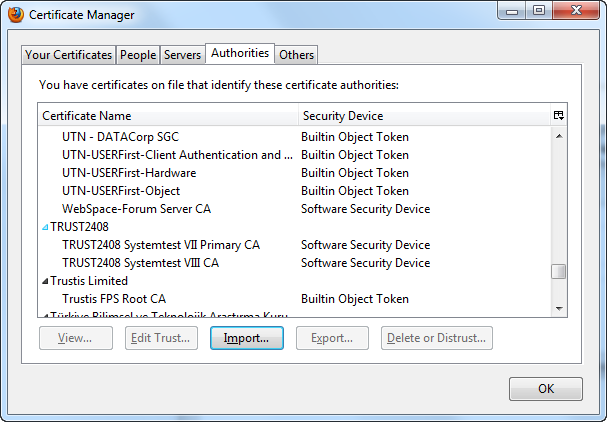 In your browser import rootCA.crt and clientcert.p12. Do you know if you can configure in browser for a given domain to be only verified against your root CA? 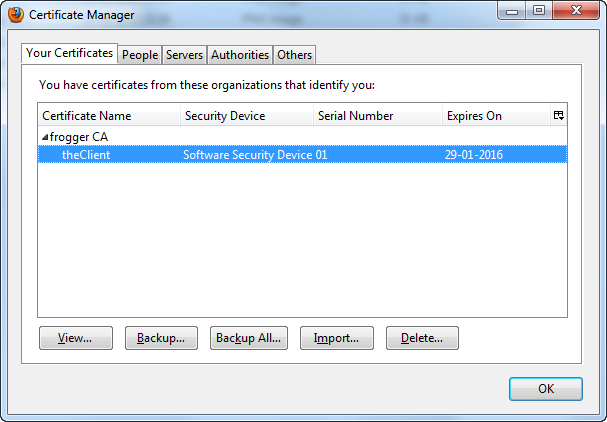 Just in case a government of a given country ask for a certificate to be signed by their certificate authority of choice to act as man in the middle. Thanks. Sorry I don’t know. Hey nice article. 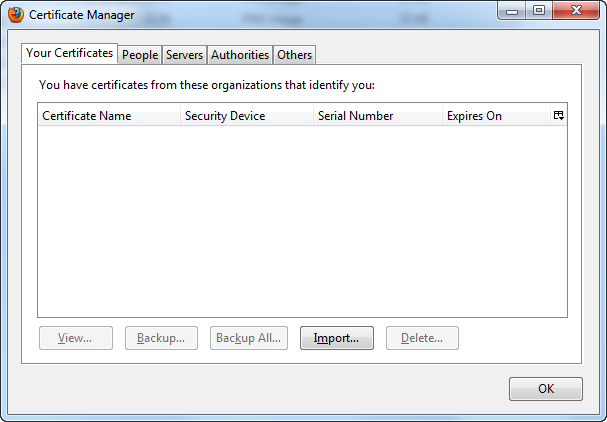 Will be doing this for an ocsp responder certificate. Hey nice article and it works. Can you also let me know how to get it working on IE 8+ or chrome? It was really helpful and saved a lot of time. 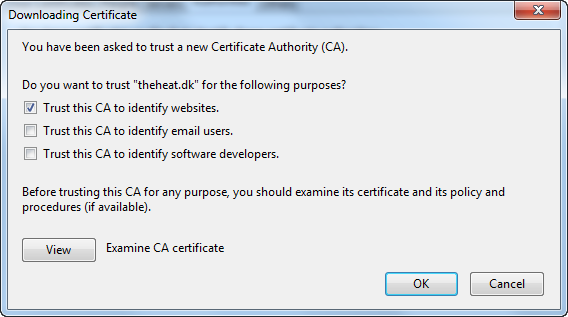 I was trying to renew both the CA and client certificates while keeping backwards compatibility with the previously generated client certificates. So far with no success… Is this possible to do, having executed the method you described? I would’ve expected it to be a matter of simply generating the CA certificate with the same CA private key… but with a bunch of experimenting, I’ve had no success so far. Any pointers you can give me? I have never tried that myself, but I would also have expected it to work that way. Very nice and useful. Worked perfectly. Thank you !